The event, which took place on Sunday 3 March, known as the “Spring Golden Eagle Festival” was co-organized by the Mongolian Ministry of Environment and Tourism, the Mongolian Eagle Hunter’s Association and others with the aim of boosting tourism by promoting the tradition of hunting with eagles.The festival is part of Mongolia’s efforts to attract more domestic and foreign tourists. 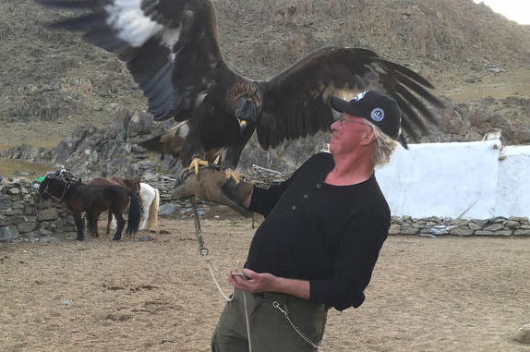 A total of 20 eagle hunters aged 18-77 from Bayan-Ulgii province competed in the two-day festival, to catch fake animals, such as artificial foxes and hares, with specially trained golden eagles, showing off the skills of both the birds and their trainers. Three of eagle hunters were females. Previously, the competition used live animals to test the eagles’ skills, but at the request of animal rights activists and the safety of the tourists, live victims have been replaced by fake animals in recent years. Eagle hunters also compete in calling their eagles at the top of a mountain, and the quickest to recognize its owner and sit on its owner’s forearm is declared the winner. Hunting with eagles is a tradition on the Eurasian Steppe. 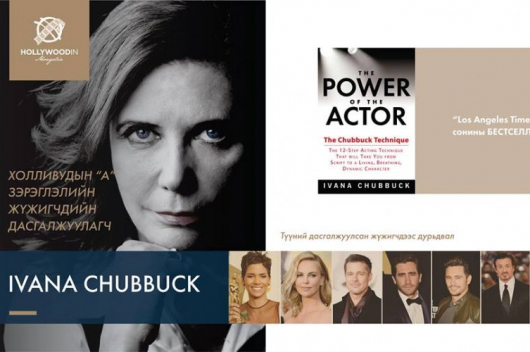 Mongolia is one of a few countries that keeps the thousand-year-old tradition alive. 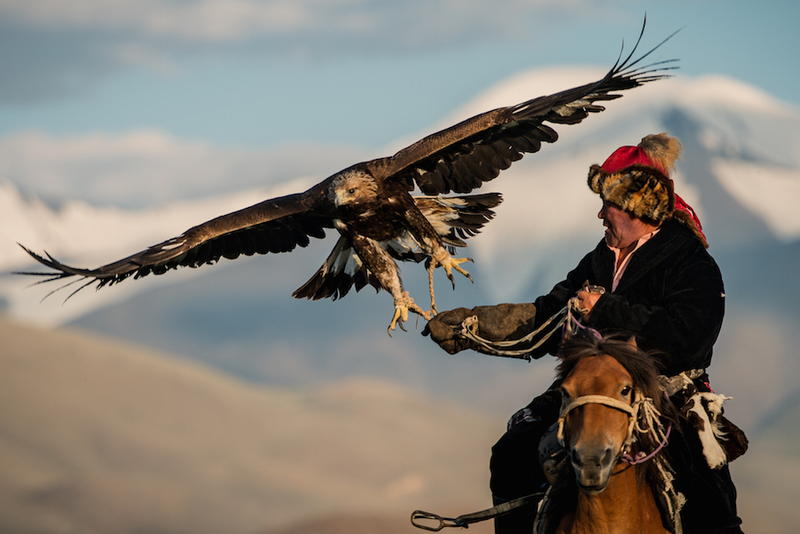 The Golden Eagle Festival is held twice a year in spring and autumn in Mongolia. 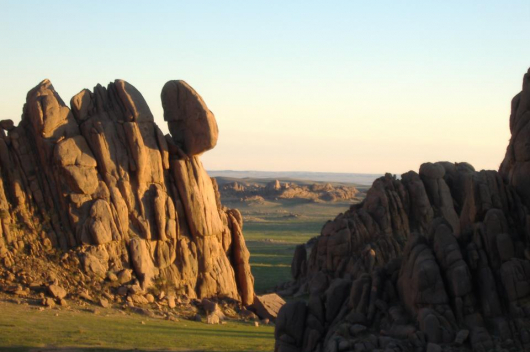 The autumn festival is held in Bayan-Ulgii Province in the far west of the country..